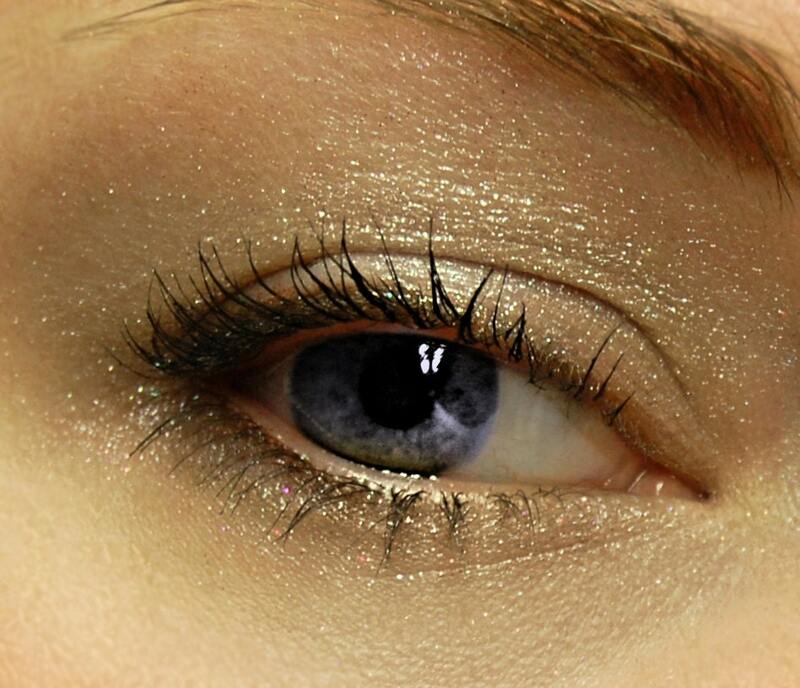 A beauty trend that I have such a crush on right now is glittery/sparkly eyeshadow. I love how they've been dolling up a lot of the girls on The Sing Off with this and I think it's just the perfect sparkly touch for a holiday party or event. Here are a few pretty examples of glittery eyeshadow. You can make it as glam or as subtle as you want by mixing up the color palette and how course or fine the glitter is. 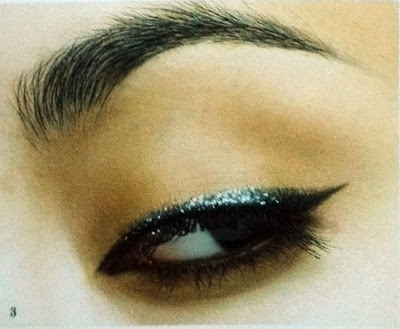 Or, for an even more subtle look, you could try a sparkly liner. So, do you think you'd try this look? I am all for a little sparkle. I am a creature of habit in the makeup dept. the same look every time. this would be fun. I love it! However, I have not had luck with the sparkle eye liners. Has anyone found on that works good and is not super expensive? ?